Last month marked the half year point since our solar system went online, so I thought I’d take a moment to share some numbers and report on how things have gone in general. All in all, we couldn’t be happier–the only significant issue is that our utility company, Central Maine Power, is going through a complete billing system meltdown. Let’s just say I’m glad I keep careful records of our power usage, because they sure don’t! But let’s start with the system: after a few minor wrinkles in the first few weeks, including a system control unit that was erratic right out of the box (Outback sent a replacement quickly), everything now pretty much runs itself–all I do is keep an eye on it. Once I got the various settings dialed in it’s pretty much been rock-solid reliable. We haven’t had any power outages yet (other than a blip of a few seconds here or there), so we really haven’t tested the backup system fully, but I’ve run the “critical loads” panel off the battery bank overnight with no issues (this only draws the batteries down 10% or so). How much power have we actually produced? In the first two quarters of 2018 the system cranked out 3,844 kWh. One interesting discovery was that the solar panels are most productive in cold weather. Our record production for a day, 39.4 kWh, was set twice in early April. You’d think the long days in June would produce the most power, but the warmer temperatures significantly reduce the photovoltaic cell efficiency–our highest June totals are 14% less than April. Overall, though, the months around the summer solstice bring the highest monthly totals. Here’s a month-by-month breakdown of our power production in the first half of 2018. While the photovoltaic cells work more efficiently in cold weather (our record daily production was in early April), overall the months around the summer solstice are the biggest. May was exceptionally dry this year, which was hard on the garden and lawn but made for a lot of sunny days. In all likelihood the monthly totals will start to decline in August. In a typical month our house uses roughly 350 kWh, so we’re producing much more electricity than we consume. 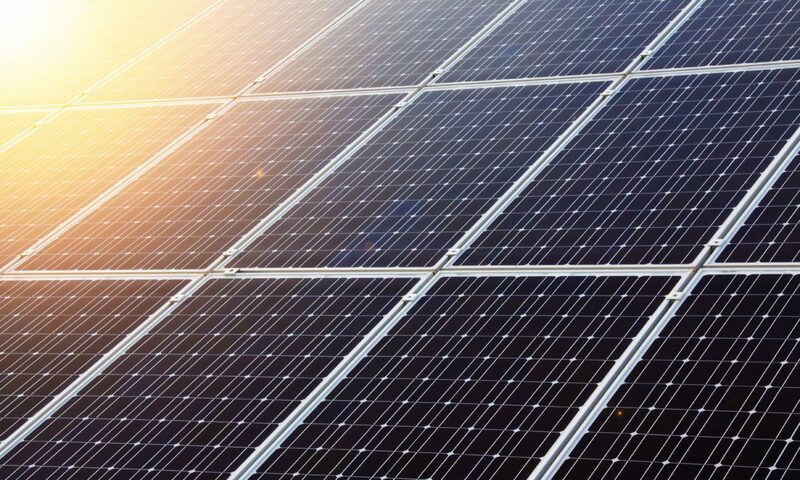 Of those 3,844 kWh, 1,276 kWh were used on premises and 2,568 kWh were surplus that we fed to the grid. Based on the current cost of electricity here ($0.156886/kWh), that’s worth $603.07. At that price the cost of the system (after the tax credit) will be paid in just over 13 years. Of course, if the past is any indication, the cost of electricity will rise significantly each year, shortening our payback period accordingly. 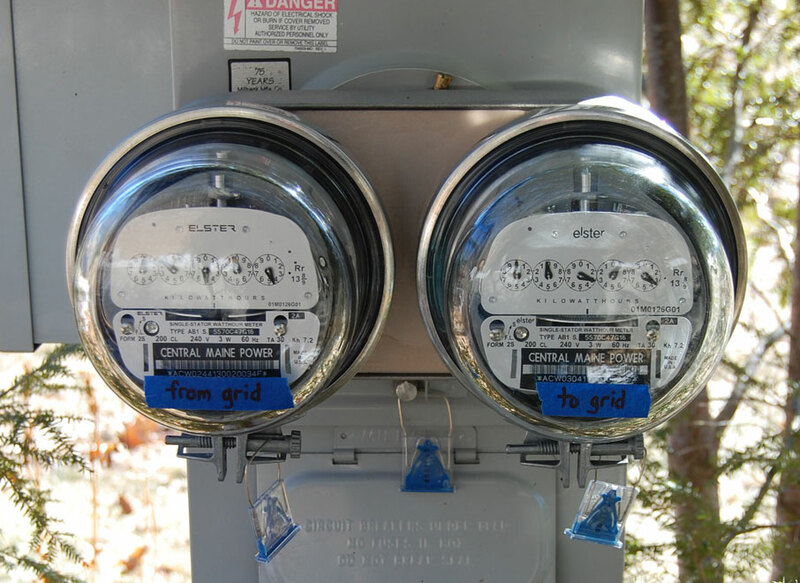 Since we’re grandfathered under the net metering terms that existed in Maine before 2018, we’re guaranteed to receive credit for any surplus power we send to the grid for the next 15 years. But it looks likely that net metering will be eliminated by then, at which point we’d certainly have to consider cutting ties with Central Maine Power altogether, especially if they’re charging us $400-500 annually just for the privilege of being grid connected (even if we don’t buy a single kWh, we still pay a monthly minimum charge to Central Maine Power of just under $27 per month just for the grid connection, and that cost will surely rise with each passing year). We’ll cross that bridge when we come to it–maybe by then Maine and the rest of the U.S. will have more sensible energy policies in place. Which brings us to the one significant problem we’ve had: Central Maine Power’s billing. In November of 2017, CMP rolled out a new computerized billing system and since then it’s been complete chaos for their customers. Roughly 97,000 customers suddenly saw huge increases in their bills (sometimes hundreds of dollars) for no apparent reason. When people called CMP for an explanation, they were told it was due to the cold weather, or inefficient appliances, and that everything on CMP’s end was working just fine. So many people were confused and upset (imagine being a retiree living on a fixed income and suddenly receiving a $400 electric bill), particularly at CMP’s total lack of response or accountability, that complaints started pouring in to Maine’s Public Advocate and Public Utilities Commission. Finally the Commission–which frankly operates as an industry support group more than the body entrusted with overseeing monopolies and protecting the public interest–had no choice but to open an investigation into the matter. Soon afterward investigative journalists uncovered internal CMP emails revealing that the company’s management knew full well their new billing system was a mess. They just weren’t admitting it to their customers or to regulators. After learning this, Maine’s Public Advocate asked the PUC to upgrade their investigation from a “summary investigation” to an “adjudicatory case” but the PUC refused. CMP customers responded by organizing as a group and filing a class action lawsuit against the company. Frustrated by years of poor service, inflated rates, no accountability, and little government oversight, customers are resorting to the judiciary system to fight back. Although we didn’t receive $500 bills like many customers, the bills we have received have been sporadic and inaccurate. We certainly haven’t received full credit for the power we’ve contributed to the grid. I’ve been taking photographs of the meters on the first and fifteenth of each month and dutifully recording the kWh we buy and generate, and am trusting that when all’s said and done we’ll be able to square up. But the current situation is really par for the course with CMP, whose management obviously has no qualms about ripping off their customers. If CMP had to compete in a free market economy, without the protection of a state-sanctioned monopoly, it wouldn’t last three quarters. Ultimately, the current sad situation is really a testimony to the failure of Maine’s Public Utilities Commission to do its job of looking after the public interest. So…with the exception of the Central Maine Power billing debacle, our experience with the new solar system has been A+. It will be interesting in the coming years to see just how things shake out financially, as well as how much we end up relying on our back up system during grid outages. I’ll post another update at year’s end.